Hiking trails and beaches remained open throughout the government shutdown, but limited services were available to Sleeping Bear Dunes visitors. As of January 27, the Visitor Center and administrative offices were reopened. The United States federal government was partially shutdown from December 22 to January 25, and its closing affected the National Parks Service. The status of accessibility at National Parks varied across the nation. At Sleeping Bear Dunes National Lakeshore, the park remained open during the shutdown, but services were limited. While the visitor center and administration buildings were closed, trailhead parking lots were plowed of snow from January 12 onward. Trails and beaches remained open to visitors. Trash removal, bathroom maintenance, and law enforcement were fulfilled by a limited number of Parks employees, despite the government shutdown. Ranger talks and programs were unavailable until the shutdown ended. 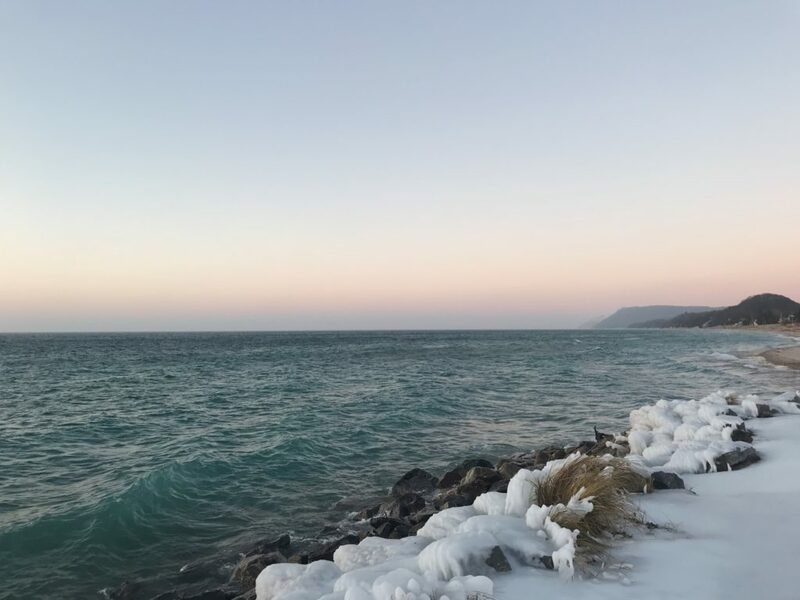 The volunteer organization Friends of Sleeping Bear contributed immensely to the Park’s services throughout the shutdown, and continually partner with the Park to ensure that visitors can enjoy the area. Friends of Sleeping Bear also grooms many cross country ski trails throughout the Park during the winter. The Sleeping Bear Dunes National Lakeshore Visitor Center in Empire is open from 8:30am-4:00pm during the winter months. In the event of inclement weather, you can call the Park Service at 231-326-4700 to confirm their hours. While visiting the Sleeping Bear Dunes National Lakeshore this winter, be sure to stop in Empire! The staff at our wonderful restaurants are happy to fuel your hikes with food and drinks. Our business owners are great resources for the area, and can help answer your questions about the Park. Follow @EmpireChamberOfCommerce on Facebook for more updates on the area, and send us a message through our Facebook page with any questions.